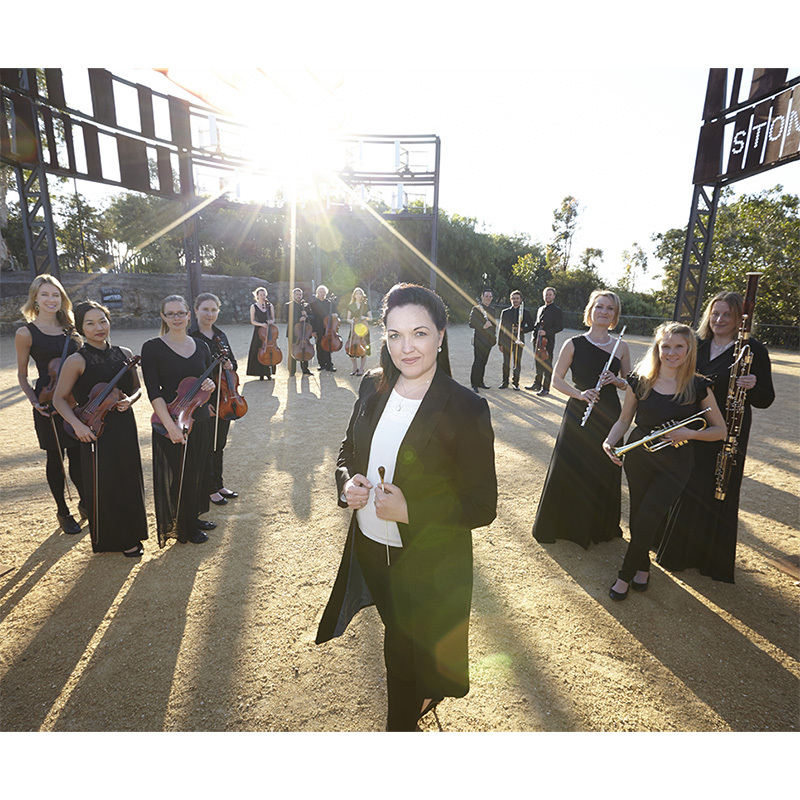 Under the baton of Founding Artistic Director & Chief Conductor Sarah-Grace Williams, The Metropolitan Orchestra (TMO) comprises Sydney’s most dynamic musicians and is recognized as one of the country’s most versatile orchestras delivering accessible, first-class and vibrant concert experiences. Boasting a rigorous work ethic and commitment to exceptional quality of performance, TMO has performed with many renowned artists in concert and/or on album recordings including Conductors Richard Gill, George Fenton, Brian Castles-Onion, Ben Foster and Guy Noble; Singers Sumi Jo, Yvonne Kenny, Elaine Paige, Anthony Warlow, John Farnham, Marina Prior, Cheryl Barker, Teddy Tahu Rhodes, Antoinette Halloran, Kate Ceberano, Olivia Newton-John, Emma Pask, David Hobson, Nicole Car, Rosario La Spina, Anna Leese, Belinda Montgomery, Alexander Knight, Daniel Bonic-Goodwin, Barry Ryan, Anke Höppner, Christopher Hillier, Teresa La Rocca, Stuart Maunder, Meredith O’Reilly, Richard Anderson, Sian Pendry, Samuel Dundas, Daniel Belle, David Hooley, Tommy Fleming, Suzanne Johnston, Judi Connelli, Mark Vincent and Renae Martin; Instrumentalists David Helfgott, Simon Tedeschi, James Morrison, Claire Edwardes, the Grigoryan Brothers, Bruce Mathiske, Shefali Pryor, Frank Celata, Emma-Jane Murphy, Patrick Murphy, Benjamin Kopp, Ambre Hammond, Kirsten Williams, Nicholas Russoniello, Anna Da Silva Chen, Bernard Walz, Lisa Stewart, Jane Rutter and the Lyrebird Trio; Actors Alex Kingston, Mark Williams and Tyran Parke; Vocal Ensembles Sydney Philharmonia Choirs, Sydney Chamber Choir, Figaro and members of Opera Australia and Children’s Entertainers Lah-Lah and Buzz. TMO will excite, entice and enchant audiences in 2017 with a range of new initiatives enhancing their highly regarded concert season. TMO’s flagship Met Concert series will feature exhilarating world premieres by Australian composers Elena Kats-Chernin, Daniel Rojas, Mark Grandison and Sean O’Boyle, alongside great symphonic repertoire by Shostakovich, Schubert, Mendelssohn, Beethoven, Tchaikovsky, Dvorak, Strauss and more. Exciting additions to the season include a concert series performed at the iconic Hydro Majestic (Blue Mountains), a Composer Development Program and TMO’s first interstate tour. 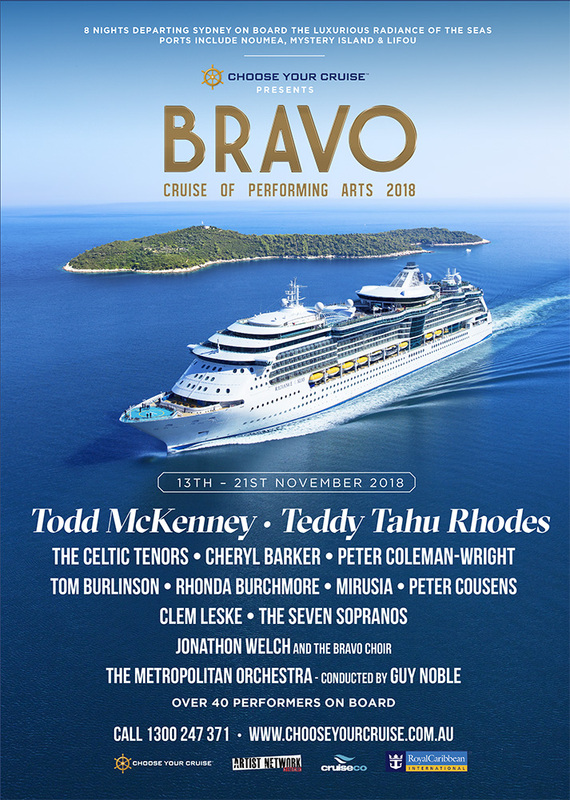 TMO also returns for the forth year as resident orchestra aboard BRAVO! Cruise of the Performing Arts alongside the one and only Jose Carreras, Mo. David Gimenez, David Hobson, Marina Prior just to name a few.